Posted April 4, 2018 by Menomonie Market & filed under Gluten Free, Savory, Wellness. 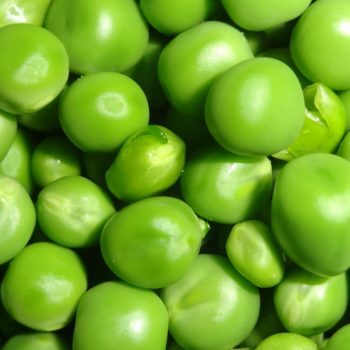 In a medium pot of boiling water blanch 2 cups of peas until tender and bright green, about 2 minutes. Refresh peas under cold water. In a large bowl, whisk together 2 T olive oil, 1 T red wine vinegar, 1 T local honey and 2 tsp Dijon mustard. Season to taste with salt and pepper. Add peas, 2 finely sliced radishes, 1 finely sliced red onion; toss to coat. Add 1/2 cup fish mint leaves, roughly chopped and gently toss. Sprinkle with 1/4 cup crumbled feta cheese.